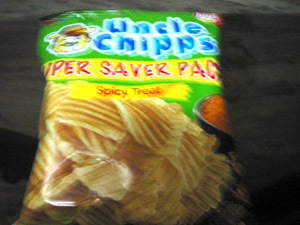 UNCLE CHIPPS A MEGABITE FOR CHILDREN. 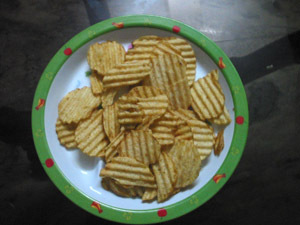 THESE CHIPS IS MORE TASTIER IF EATEN WITH TOMATOE SOUS. 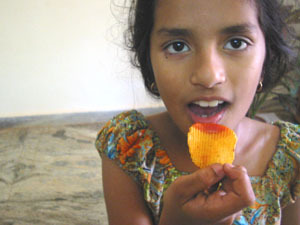 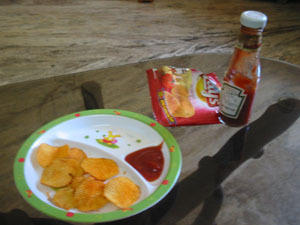 THESE TYPE OF CHIPS ARE VERY FOND OF ALL CHILDREN. 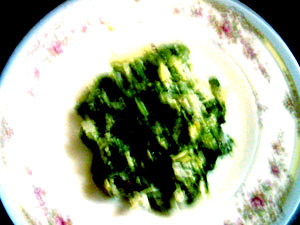 YUMMY, IT IS VERY DELICIOUS ITEM. 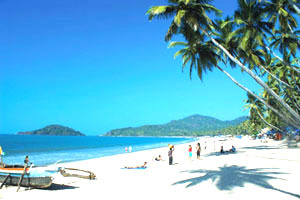 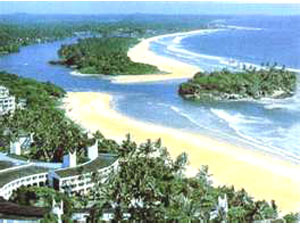 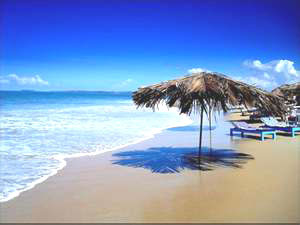 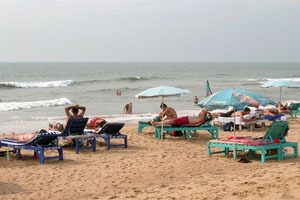 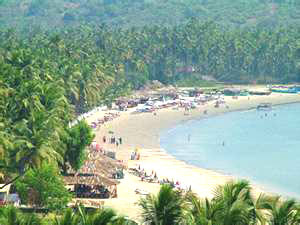 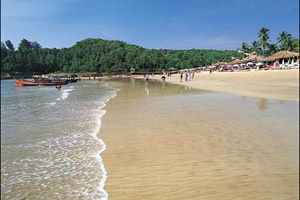 THIS IS A BAMBOLIM BEACH. 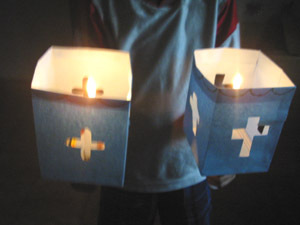 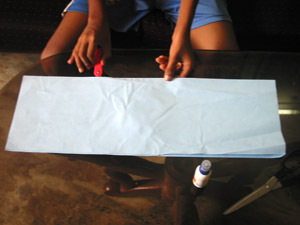 CUT THE PAPER INTO REQUIRED SIZE. 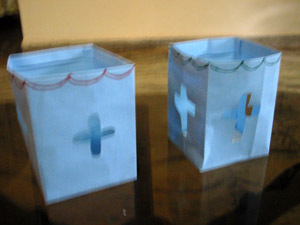 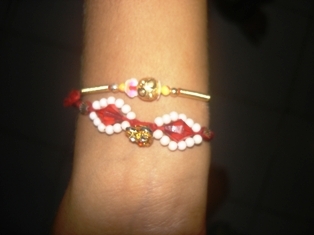 MARK THE DESIGN BY PENCIL OF YOUR CHOICE. 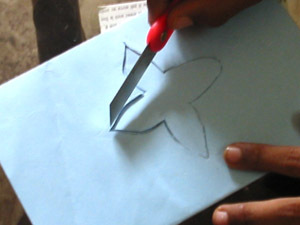 CUT THE DESIGN WITH THE HELP OF KNIFE. 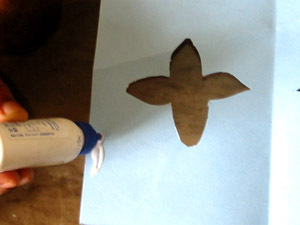 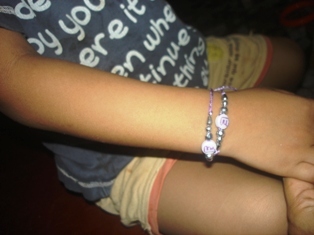 JOIN THE BOTH END WITH THE HELP OF GLUE. 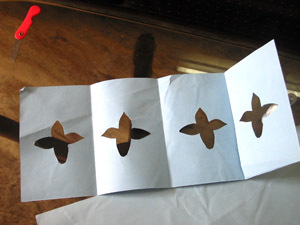 HOLD THE CUTTED DESIGNED PAPER INTO 4 EQUAL SIDES. 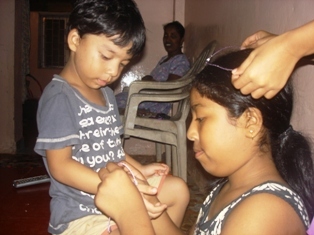 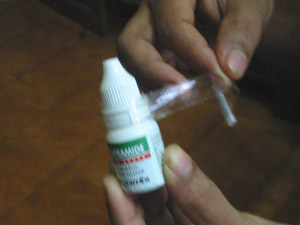 Wrapping the eyedrop with the help of tape. 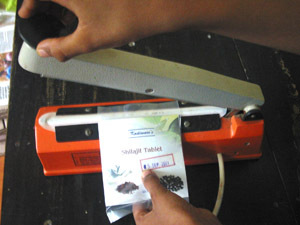 Sealing the packets with the help of sealing machine. 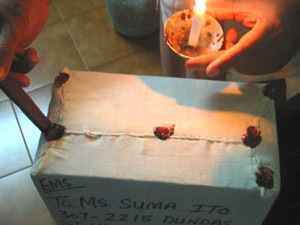 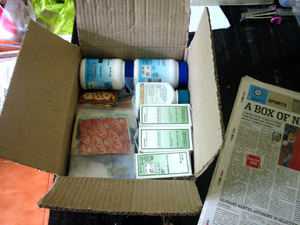 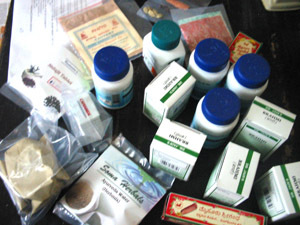 Arranging/placing the items in the box. 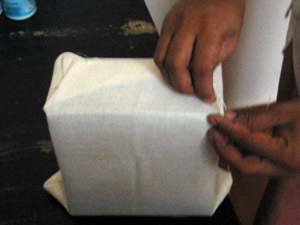 Applying the postal wax after stitch. 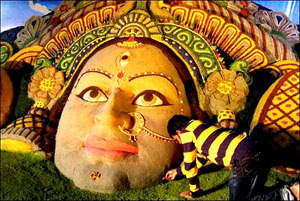 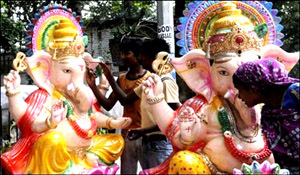 ARTISTS ARE SEEN GIVING A FINAL TOUCH TO TO GANESH IDOLS. 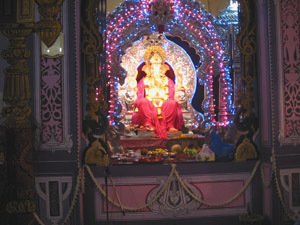 VARIOUS GANESH IDOLS ARE DISPLAYED FOR SALE. 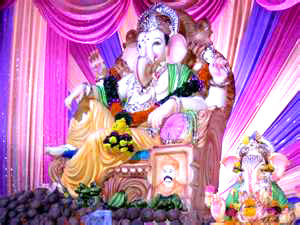 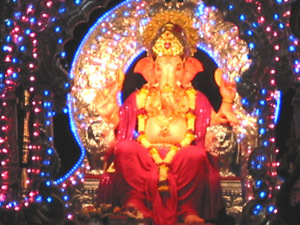 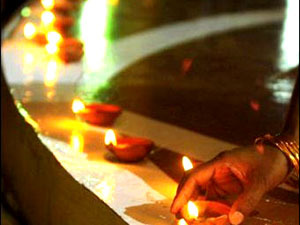 GANESH FESTIVAL IS ON IN GOA. 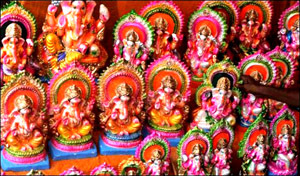 EVERYWHERE YOU CAN SEE DIFFERENT KINDS OF GANESH IDOLS. 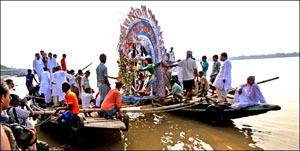 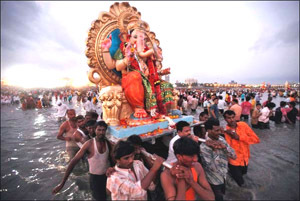 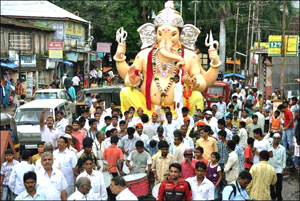 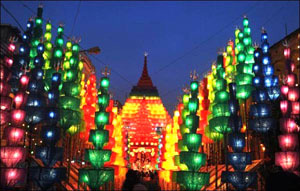 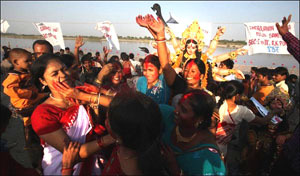 GANESH IDOL IS SEEN IN THE PROCESSION TAKING FOR IMMERSION. 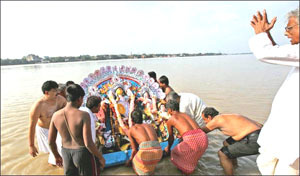 GANESH IDOL IS IMMERSING IN THE WATER. 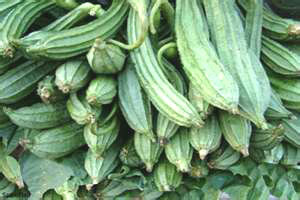 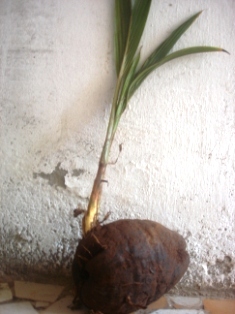 THIS IS THE GOURD VEGETABLE GROWN DURING MOSTLY RAINNY SEASON. 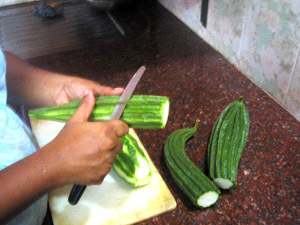 WE HAVE TO CUT AND CLEAN THE OUTER SKIN WITH THE HELP OF KNIFE. 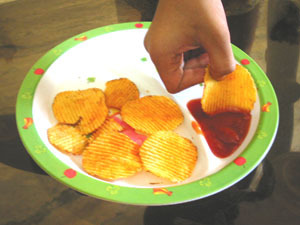 THIS IS HOW TO CLEAN THE OUTER SKIN. 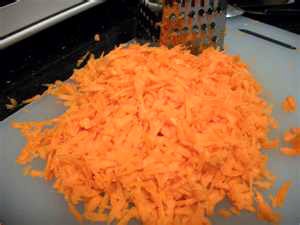 THEN CUT INTO SMALL, SMALL PIECES. 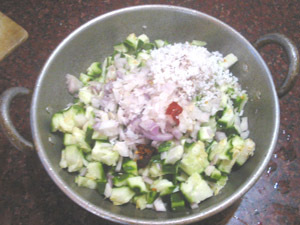 ADD TO IT ONIONS, CHILLY AND GRATED COCONUT AS PER TASTE. 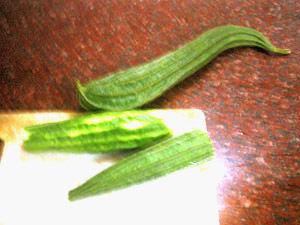 THE VETABLE IS READY TO EAT WHICH IS VERY TASTY. 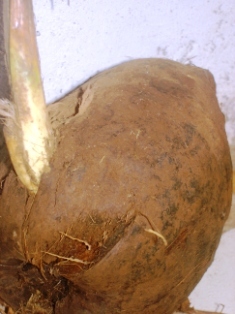 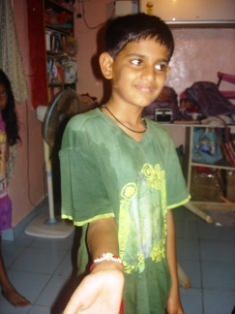 INGREDIENTS: CARROTS, EGGS, MAIDA FLOUR, SUGAR, BAKING POWDER, SALT TO TASTE. 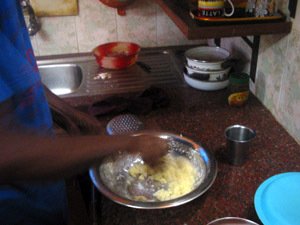 EGGS AND SUGAR HAVE TO BE BEATEN OR MIXED PROPERLY TILL IT BECOME PASTE. 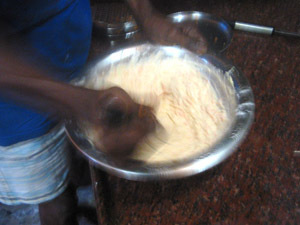 THEN ADD MAIDA FLOUR TO THE PASTE AND KEEPS ON STIRING TILL IT MIXED PROPERLY. 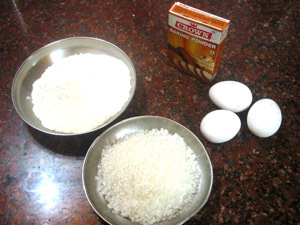 BAKING POWDER HAVE TO BE ADDED. 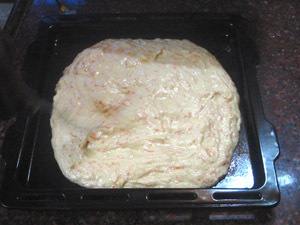 AND THEN INSERT THE TRAY IN THE OVEN. 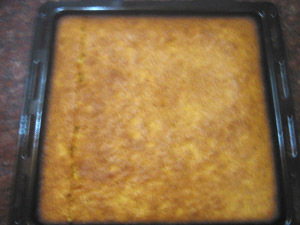 AFTER 20-25 MINUTES THE CARROT CAKE IS READY. 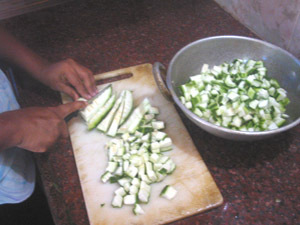 THEN CUT INTO SUITABLE NECESSARY PIECES.